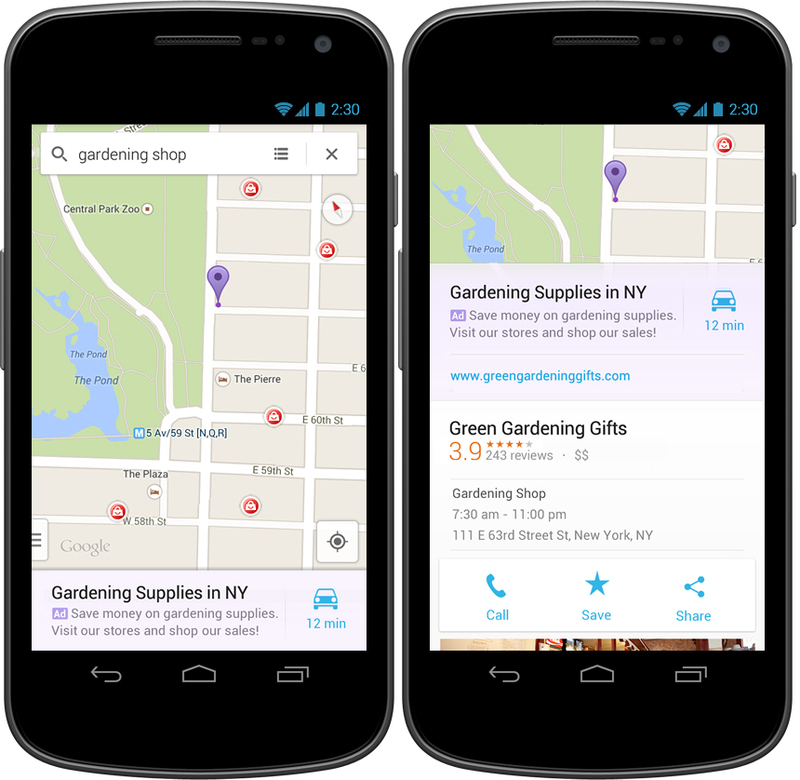 On May 24th, Google announced a new way for local businesses to advertise their business through Google Maps. Advertisers will now be able to put their local ads directly onto Google Maps, a place that used to be ad-free. With more than 1 billion users on Google Maps, this is a huge step for local businesses to tap into the advertisement world. Considering around 90% of all global sales will happen in store as opposed to online bringing consumers to your local business should still be your number one priority. The Google Maps ad feature allows your business to show up first when consumers search for a specific business or product using keywords. For example, if you search “steak house near me” on Google Maps, a business that pays for the Google Maps ad service will have their steak house restaurant displayed first. This business will be listed with a small, purple box with the word ‘Ad’ next to their business name and will be marked with a purple box on the map as well. This is a great way for businesses to stand out if they are competing with a similar business nearby. As far as price goes, google will charge you on a standard cost-per-click system, which can vary due to location detail, direction, and mobile click-to-call. That way, you only pay for what you get out of the ad. Almost two-thirds of Americans own a smartphone and nearly one-third of all mobile searches on Google are related to location which means putting your business on Google Maps is essential in increasing discoverability. With over a billion users on the Google Maps app, the new Google Maps ads help local businesses increase their foot traffic. To further differentiate your business on the Google Maps app, your ad will appear as a ‘promoted pin.’ Not only will your business’s pin appear on a map, it will appear in driving routes and walking directions as well. These promoted pins are designed to make your business stand out when people are walking or driving by your business. In addition, you can also add a specific promotion under your Google Maps listing. When people click on your promoted pin, they will be able to see the deals and specials your business is having, as they will be listed under your business’s name, address and phone number. Besides the benefits of being promoted on Google Maps, advertisers will no longer have to fear their ads on Google Maps will be blocked. Google has announced that people will not be able to block Google Map features from any ad blocking software.